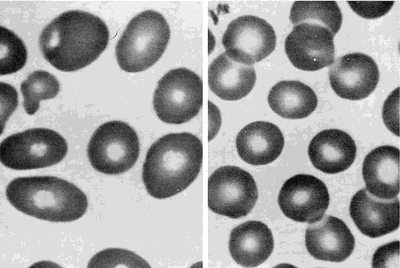 Iron deficiency anemia, on the other hand, is often brought about in the elderly by poor absorption of iron--a micronutrient that forms part of hemoglobin--in the digestive tract, diet that lacks enough iron, or blood loss due to chronic but asymptomatic internal bleeding such as those caused by frequent intake of non-steroidal anti-inflammatory drugs (NSAIDs) to relieve joint and body pains, and chronic gastrointestinal ulcer. Of those who developed anemia, 745 (51%) were current metformin users, 194 (13%) were former users, and 519 (36%) had never taken metformin. 50%) students taking mix diet were suffering from anemia. In Southeast Asia, there are 202 million affected women with anemia and in Western Pacific, about 100 million. 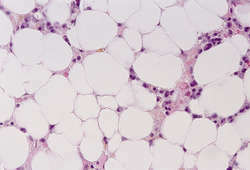 Pancytopenia on peripheral blood smear with a hypocellular bone marrow is the hallmark of aplastic anemia. Iron-deficiency anemia is observed when dietary intake of iron declines, when iron is not sufficiently absorbed, when bodily requirements increase, or in cases of excessive blood loss. Anemia has been recognized as serious public health problem for both developing and developed countries with serious implications on health3. 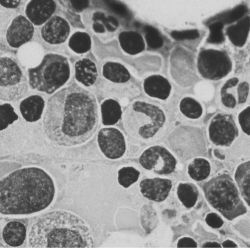 Hemolytic anemia occur when there is increased red blood cell destruction and bone marrow fail to form new red blood cells at the same rate. Researchers, however, continue to look for anemia treatments that will benefit those with heart failure, too. 9 Main cause of anemia is deficiency however, when supplements of Iron and iron other micronutrients were given it reduces only 40 60% of the anemia and the remaining percentage of anemia remain unresponsive to the supplementation. The prevalence of anemia varies little by other background characteristics. Risk factors for iron deficiency anemia in preschool children in Northern Ethiopia.